The JKF-Wadokai is an internationally renowned Karate organization consisting of 1,350 branches within Japan and 250 groups outside Japan (including registered branches). 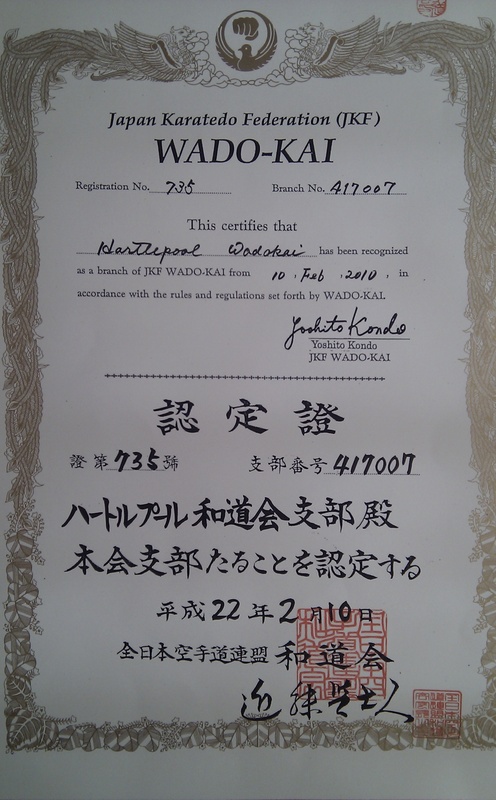 The Wadokai has over 1,000,000 registered members worldwide making it one of the largest single-style karate groups in the world. The Wadokai Technical Department manages testing to obtain various qualifications, sets standards and implements planned seminars so that practitioners will meet these technical standards. In plain English, the JKF-Wadokai is the group in Japan that is responsible for Wadokai throughout the world and is the group that our club, Hartlepool Wadokai belongs to. England currently has 16 branches registered with the Wadokai HQ, of which Hartlepool Wadokai is number 4-17-007 – no really! This entry was posted on August 27, 2010 by hartlepoolwadokai. It was filed under Uncategorized and was tagged with JKF-Wadokai.